It’s that time of year again! Most of the leaves have fallen off the trees, and the weather is starting to turn pretty chilly. You still want to go out into the city and do fun things with your friends, but you can only take shelter in different stores on Newbury Street for warmth for so long. What else is there to do in the city that’s fun, inexpensive, and can still keep you warm? Go to Aragosta Bar and Bistro. It’s a small restaurant on Battery Wharf, located right outside the North End. Its menu boasts gourmet meals with not-so-college-student-friendly prices, but there’s one option at this restaurant that is reasonably priced, delicious, and a great idea for a unique, friendly gathering in this cold weather! It’s s’mores! Who doesn’t love a toasty, melted, gooey, scrumptious treat that wraps you in a blanket of warmth when it’s cold outside? So when you go to Aragosta, tell the host or hostess that you want to sit outside at the fire pits on the terrace. Each large fire pit is surrounded by cozy couches with pillows and comfortable chairs. You can also request additional blankets to be brought out as well. The great thing about the terrace is that it gives you some privacy. There are only two or three fire pits out there, so this is a really great place to have a get-together with your friends where you can all just really relax and hang out. The restaurant offers four types of s’mores platters. They cost $10-12 each, but they are big enough that you can definitely share a platter with at least two other people. If you feel like you can eat a whole platter yourself (which wouldn’t be that difficult), then order your own! The price is definitely reasonable for the portion size that you get. The first type of s’mores platter is your typical campfire s’mores. This is for anyone that likes to keep the good ol’ tradition of marshmallows, Hershey’s chocolate, and graham crackers. Melt that chocolate, burn the marshmallow, and enjoy some finger-lickin’-good treats. 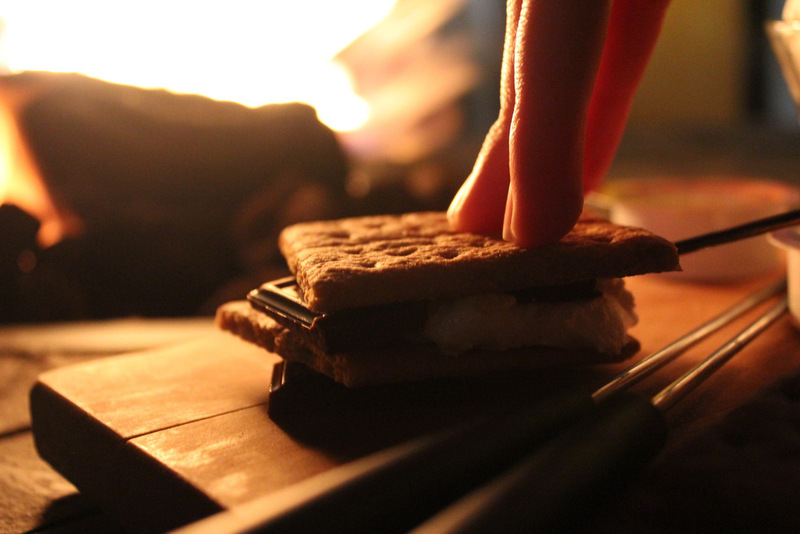 The second type (my personal favorite) is the peanut butter cup s’mores. These are served with Reese’s peanut butter cups instead of plain chocolate, with some peanut butter sauce on the side. There’s just something about melting a marshmallow to fluffy, sticky goodness and then spreading thick peanut butter sauce on the s’more; the combination is mouth-watering. Banana s’mores is the third type, which just adds some banana slices to a regular s’more if you love that fresh, clean taste of banana combined with the sugary sweetness of chocolate. These three types are $10. For $12, you can go all out and order the fourth type, the deluxe s’more, which is a combination of the first three types in one s’mores platter! Aragosta really does a great job at taking a simple dessert and adding creative twists that satisfy every chocolate and marshmallow craving. If you want a hot drink on the side, Aragosta offers various teas, coffee, and hot chocolate as well. 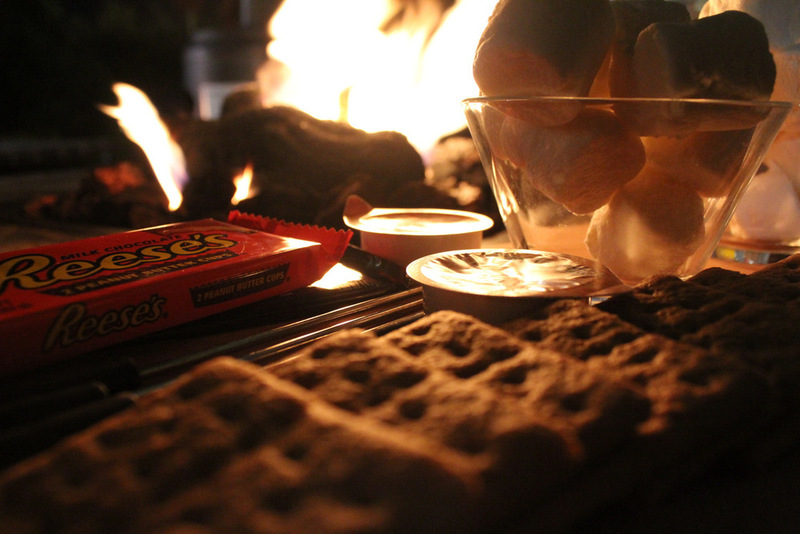 What’s more fun than sitting around a fire snuggled up in blankets, toasting your marshmallows to your preferred perfection and just kickin’ it back and talking with friends? In these upcoming cold days, this is definitely a way to mix things up. Trust me, you’ll get sick of shopping and going out to dinner at that restaurant you always like, not to mention you’ll be freezing walking around the city! 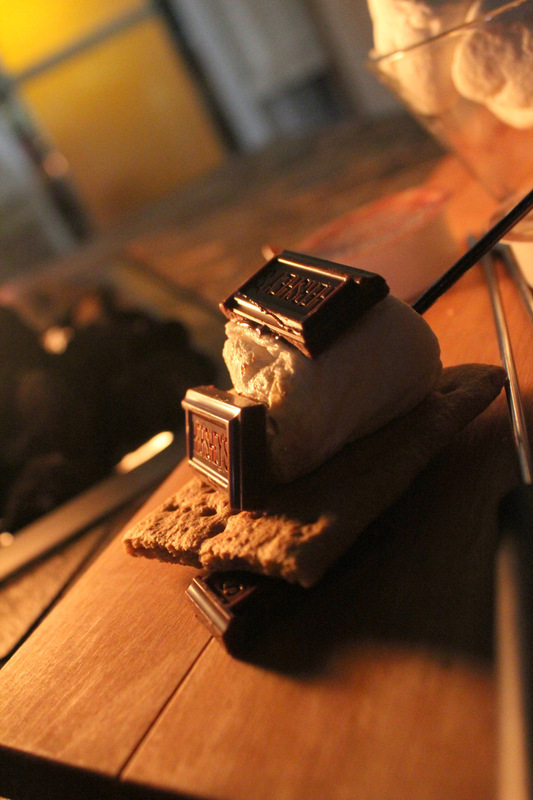 Definitely try the s’mores at Aragosta and enjoy a fun fireside experience with your friends. Note: Reservations for the outdoor fire pits cannot be made online. Call Aragosta and check their availability.